As INN readers know, we’ve been trying to capture a variety of perspectives on last week’s X47 Keepstar fight. Counting down to the Keepstar’s final timer, we checked in with NCdot’s Killah Bee to see what the fight looked like for X47’s home team, and how they see things playing out. The NCdot fleet consisted of caps and supercaps, along with a Megathron fleet. We asked Killah Bee about their focus and strategy during the engagement. INN: I know this was a long one, stretched out over several systems. Were your folks involved elsewhere in the vicinity? Or were you mostly working on home defense? KB: We were mostly focused on the main fight, but of course we helped set up the crews that were in charge of catching reinforcements or going for disconnected stuff. INN: In such a long fight, with fleets joining at different times, I assume NCdot was funneling pilots into the fight for the duration? KB: We tried to get as many people in as possible, though that was pretty hard due to TiDi and disconnects. 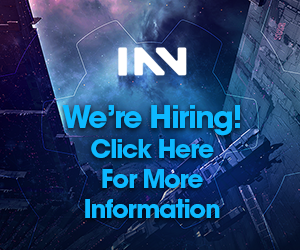 INN: Given that a DDOS attack took down the node right as fleets were starting to form, did that impact your preparations for the fight? KB: DDOS didn’t affect us much. We were set up in time. 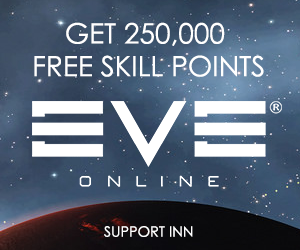 INN: What were some of the high points? Low points? Any particular “moments” of critical importance to the outcome of the battle? KB: It was super fun DDing four titans off the field within 10 seconds right at the start, and the Molok kill was pretty good. Besides that, it was a pretty normal battle. INN: Your side took down the first Molok ever lost in Eve. Can you tell me about that? KB: There were very few faction titans on grid – neither Goons nor us fielded all of our faction titans. The Molok disconnected and got killed on a safe spot. Not exactly a glorious way to die, but that’s part of these battles. INN: Since this is a staging Keepstar, I’m assuming you’ll come out in force for the final timer. Are you willing to talk about your plans at all? KB: It’s impossible to keep a Keepstar from dying on a scale like that, since they only need five Titans to shoot it constantly in order to kill it, and we are not going to get through 300+ Titans in 18 hours. So we will just inflict as much damage as we can, and then o7 out. INN: In the event that the Keepstar goes down, I’m assuming you already have contingencies in the works to relocate and continue the fight? KB: We have already relocated to a better staging area in DO6. INN: I always finish up my interviews by asking whether there’s anything else in particular you want to make sure INN readers know? Despite INN’s affiliation with the Imperium and the fact that we are often accused of being little more than a mouthpiece for Goonswarm leadership, INN is grateful to Killah Bee, as we are to the FCs from all sides of this conflict who took the time to respond to our questions, provide their input, and give us a taste of what it’s like to be a critical participant in one of Eve’s legendary battles. With the Keepstar’s final timer looming, and the war as a whole still in its opening stages, we hope to be able to bring you plenty more of such coverage as events progress. “KB: We have already relocated to a better staging area in DO6” If DO6 was a better staging area then why not stage there from the start? X47’s got better access from Tribute. Basically, DO6 is a better stager for covering Fade/PB, but X47 was perfectly adequate, and they didn’t want to live in Darkness’ keepstar. So now they’ve had Dead Coaltion (formerly GotG) hand the DO6 Keepstar over to them.